recently i've been, hopelessly reachin'. Pinafore, £36 - T-shirt, £16 - Stripe top, £20 - Socks, three for £8, all Topshop. Shoes, New Look, £11.99. Now I'm sure you all know that I'm not usually one to spend my money on a whim, particularly on clothes, but recently I have gone against my usual ways and spent a little of my hard earned money on the high street. I tend to go through phases with wearing certain colours - lookin' through my blog, for the last few months it's been burgundy and plum tones mixed with brown and black, but more recently I've been drawn to all things blue and grey. I've been rather ill and have been feelin' a little down recently, so think I've been wearing and wanting to purchase various shades of blue and grey, along with black, to match my somewhat gloomy mood. This pinafore really caught my eye as soon as I spotted it in Topshop, and I was ever so surprised to find that it actually suited me, as I really didn't think the style of it would. When I try on clothes in store I tend to have to think of the whole outfit, so despite having plenty of t-shirts already, this grey one matched perfectly so I just couldn't leave it behind. Plus, in my opinion you can never have too many pairs if cute socks, and an oversized stripey top will always be welcome in my wardrobe. Tomorrow I'm heading to Liverpool with Liv to visit Rebecca for a couple of days and plan to pack all of the items of clothing in this post with me. I'm sure wearing some pretty new clothes and hangin' out with some of my best girl friends will make me one very happy lady. Lots of love, Jazmine. Oh God, I'm in love! <3 Everything is so pretty. Give me that pinafore! :) Kisses. Love the pinafore, Jazz! Much like you, I do tend to go through phases of colour-preference; but the varying shades of grey (pun 100% intended!) have never seemed to escape my wardrobe of late... I did, however, buy a pair of burnt crimson skinny jeans from Zara for £2 (school clothing sale for charity) today and hope they'll add a much needed colour-pop to my everyday wear. Hope you have a lovely weekend with the girls! I have this pinafore! I love it! And I love the Topshop frilled socks! ahh, I can't wait to see you in the pinafore! Really, really cute. 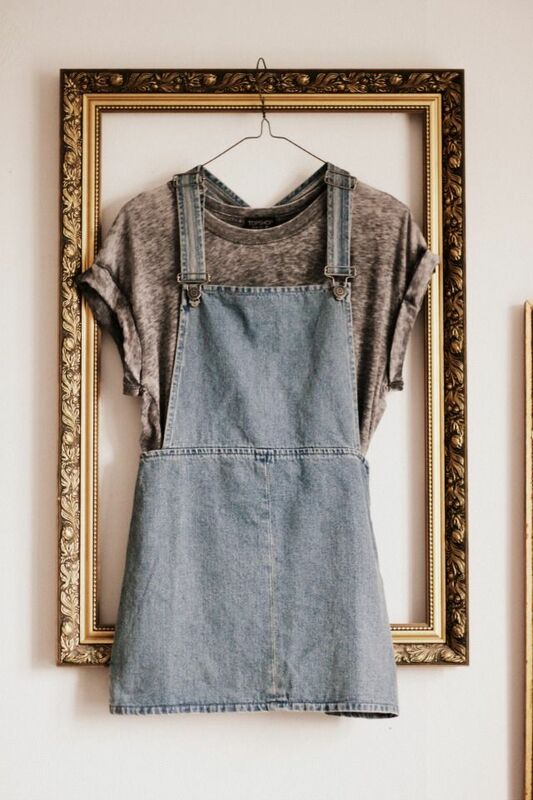 That pinafore is adorable! 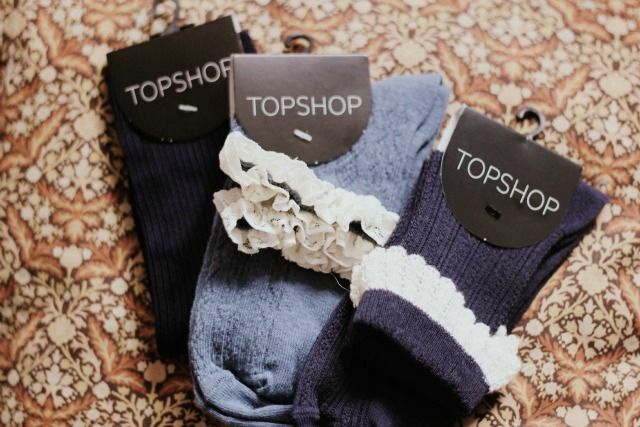 And there's nothing like a pair of Topshop socks. Also, I hope you feel better soon, and have an excellent weekend! love the mcfly reference! 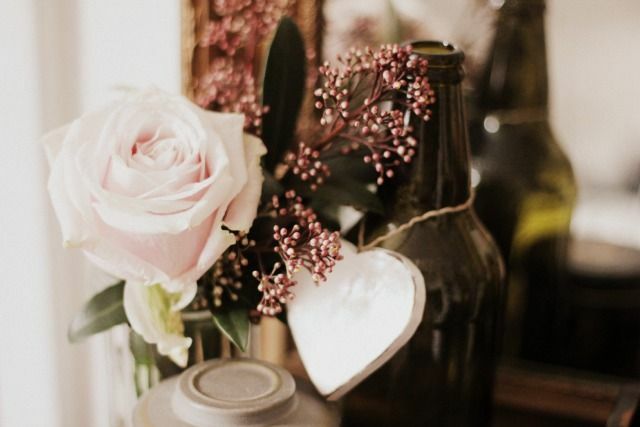 these all look so pretty, especially the pinafore! Everyone seems to be ill recently so I hope you get better soon! I love the way you've hung the outfit on the photoframe, it looks really lovely like that! To be honest I'd be tempted to hang a different piece from my wardrobe up like that everyday if I was you, just so you get to see it even thought you're not wearing it!! And I really need to get my hands on some frilly socks, although spring is already here its not really been spring-like weather so I have been holding off buying frilly things, but I think its time to invest. Also I wish I had your restraint of not buying things on a whim - I am such an impulsive shopper I honestly think I have a problem! Love the combo of the gray shirt and pinafore dress, also i need some frilly socks! I absolutely adore the pinafore and grey top combination... Might just HAVE to buy. The shoes are beautiful too. Can't wait to see them all! Get well soon, Jazz! Enjoy your trip. Those socks are amazing. and also the first t-shirt. 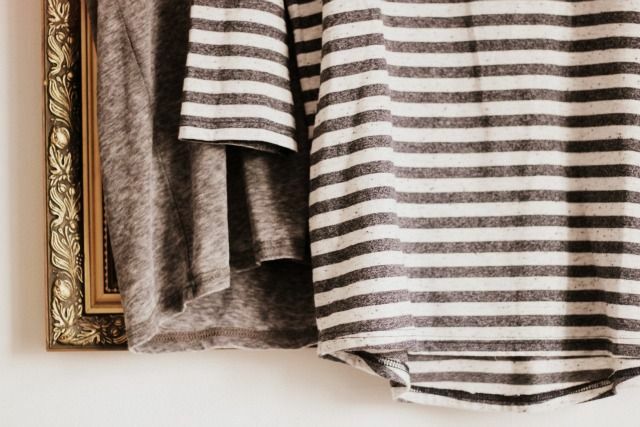 i'm in love with grey basic shirt. Un très bel article et des photos toujours aussi inspirantes ! I'm desperate for a pinafore style frock lovely, I love those socks too! Love the socks, I have all the exact same ones!